The Orwell Foundation is delighted to announce that The Orwell Lecture 2018 will be delivered by author Kamila Shamsie, on the question of ‘citizenship, migration and the transformation of rights into privileges’. The lecture will consider the cost of recent attempts to move citizenship from ‘a protected legal status to a privilege’. Kamila Shamsie is the author of seven novels: In the City by the Sea (shortlisted for the John Llewellyn Rhys Prize); Salt and Saffron; Kartography (also shortlisted for the John Llewellyn Rhys Prize); Broken Verses; Burnt Shadows (shortlisted for the Orange Prize for Fiction) and A God in Every Stone, which was shortlisted for the Baileys Prize, the Walter Scott Prize for Historical Fiction and the DSC Prize for South Asian Literature. Home Fire was longlisted for the Man Booker Prize 2017, shortlisted for the Costa Best Novel Award, and won the Women’s Prize for Fiction 2018. Three of her novels have received awards from Pakistan’s Academy of Letters. 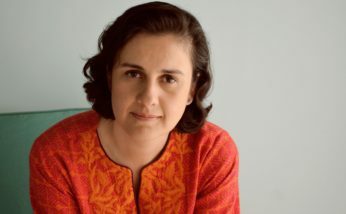 Kamila Shamsie is a Fellow of the Royal Society of Literature and was named a Granta Best of Young British Novelist in 2013. She grew up in Karachi and now lives in London. The Orwell Lecture, named in memory of the English author, journalist and critic George Orwell (Eric Blair, 1903 – 1950) has been given annually since 1989. The lecture has attracted notable speakers including Dr Rowan Williams, Dame Hilary Mantel, Robin Cook and Ruth Davidson MSP. Originally held at Birkbeck, University of London and the University of Sheffield, the lecture is now held each year at University College London, home of the Orwell Foundation and the location of the George Orwell Archive.